I was recently introduced to a stamp company "The Ton" that makes gorgeous stamps for coloring... I then bought a ton (pun intended...) of their stamps. I picked up 4 of the large square coloring backgrounds. This is the third card. Yogi, this stamp is fantastic with the white embossing and beautiful watercoloring. Love that rich pink card stock base with it. 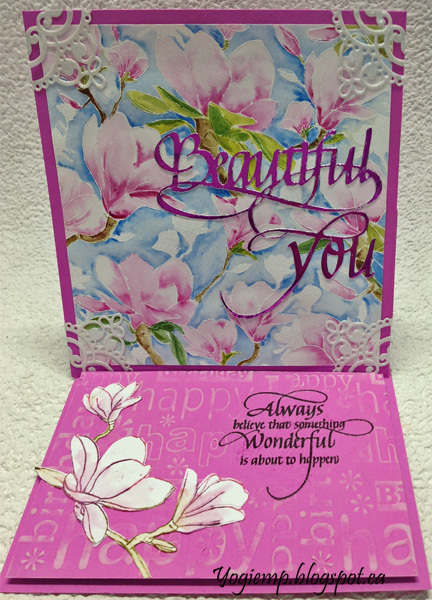 How perfect this floral loveliness is for the sentiments you chose. What a lovely card with beautiful flowers! Love the corner die cuts and sentiment! Thanks so much for joining us at Dies R Us this month for the challenge! Beautiful! Thanks so much for playing in our ‘Anything Goes DRU’ challenge at Dies R Us! Good Luck and Please come back again soon! 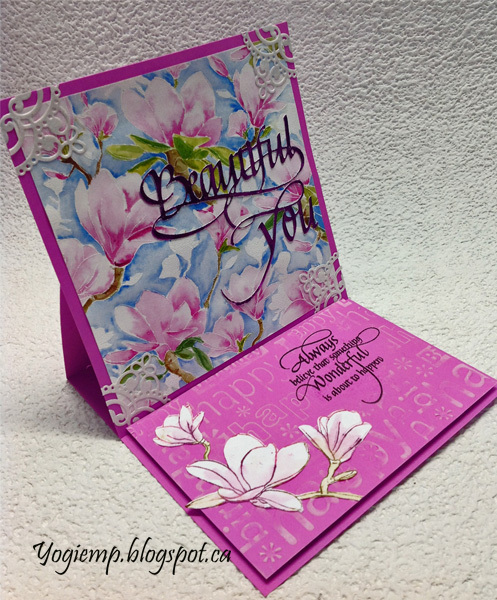 Gorgeous easel card! Pretty papers and wonderful details! What gorgeous coloring of your special image - and this easel card would be so great to receive. Thanks for joining us this week at the QKR Stampede anything goes challenge.